This is Las Vegas and you could expect neon lights, money flowing freely, the inevitable dose of kitsch and glitter. To be amazed with Epinal's images of the apotheosis of consumer society and the American Way of Life. It's in the United States and you could expect a series that echoes its great photographers or says the fake of the American dream. But that's not what it's about, nowhere does Viva Las Vegas ring out! Looking at Only Bleeding, we see the disillusionment of the great city. It could finally be Vegas or somewhere else. There a woman is shipwrecked under an improbable luster, swallowed up between the chamarré carpet and the pitfall of the slot machines. Here, a couple seems to be trying to escape some terrifying disaster. Elsewhere, a row of clever palm trees line up, encased in the asphalt. 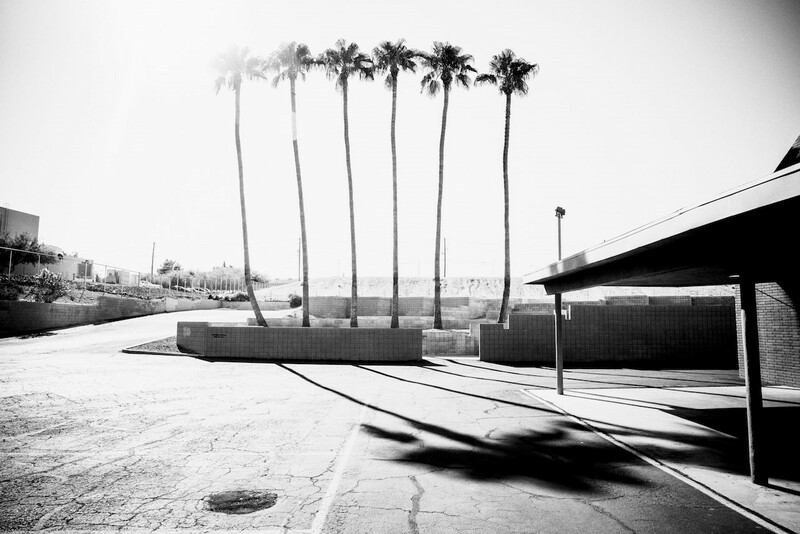 In Fred Stucin's images, the unattractive streets with straight lines, dull signs and aseptic whiteness are empty, crushed by the sun. Sometimes, a haggard and spectral passer-by crosses the image. The photographer also lingers on faces. In his tight shots, unclaimed men and women, their staring, almost stunned, seem desperately lonely, as if they were trying to escape a city ready to devour them. Through this long black and white travelling, we follow in the photographer's footsteps in the disenchanted city that is being consumed.